You wouldn’t have known it watching the mainstream media, including Fox News, but the 4 year-old Russia-Ukraine crisis is heating up again. Russia opened fire on and subsequently captured 3 Ukrainian naval ships. The cabinet under Ukrainian President Petro Poroshenko is seeking the imposition of martial law, which partially mobilizes the army, in response to the crisis. Russian foreign minister Sergei Lavrov maintains that the Ukrainian ships were violating their territory. Poroshenko, it should be added, is highly unlikely to win the upcoming presidential election and could be using martial law as a pretext to delay the vote. What are Americans to make of this crisis? Leaving aside our stock-response of hating Russia and siding with the weaker power, or our reflexive knee-jerk siding with Russia because they’ve been scapegoated by Girondists that run the New York Times and MSNBC, how should we respond? How about we don’t? How about, at most, State Department officials issue the standard “we call for both sides to reduce tensions and come to the negotiating table” statement? This is not a struggle for human rights or democracy or self-determination or Western civilization. This is, so far, a border dispute. How many of the people calling for a strong response know anything about the Azov Sea? Or Ukraine in general, for that matter? They don’t know, for instance, that large swaths of the alleged Ukrainian nation were fully integrated into the Russian state from 1763 under the reign of Catherine the Great until 1990 at the end of the Cold War. Crimea, the region of Ukraine/Russia that the latest crisis has arisen over, was part of Russia since before the United States of America existed – until 1954, when it was given to the Ukrainians by the drunk General Secretary of the USSR, Nikita Khrushchev. During the Cold War period, though the Ukraine was nominally an independent state, in reality it was a vassal of Russia through the USSR. Until the EU-US backed revolution of 2014 that removed the pro-Russia president, “Ukraine” was called “the Ukraine” – like “the south” or “the mid-west.” It was considered a region of the greater Russian nation, not a nation of its own. The Ukrainian language, the Ukrainian ethnicity, Ukrainian culture and history, even – the recent schism with the Ecumenical Patriarch notwithstanding – the Ukrainian religion; these are directly tied to Russia. Particularly in the east and south that the two states have been in conflict over. A dispute over access to a strait in de-facto Russian territory between two states that are arguably part of the same nation; this is not the kind of moral calamity that necessitates the involvement of the United States. Furthermore, if the crisis were to escalate to the scale of the 2014 military operations, that would make the matter even less our business. Russia has nuclear weapons. We have nuclear weapons. The UK has nuclear weapons. China and North Korea have nuclear weapons. We have good reason to be skeptical of the risk of nuclear war. But that doesn’t mean we should push our luck. 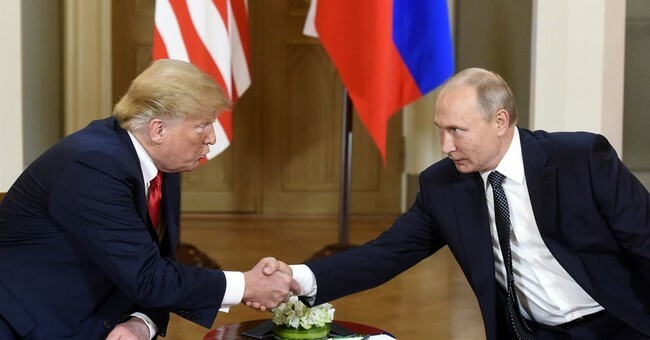 Even a conventional conflict, in which President Trump pressures Russia internationally to cover himself from the Dems domestically, could be disastrous. Let the Ukrainians and the Russians sort their differences out. This is not a cause for some great moral crusade for the good of liberal democracy; this is what happens when nations split. They test and prod each other to establish slight strategic advantages for future conflicts, as happened with India and Pakistan, and North and South Korea, and Israel and Palestine. Not every border conflict or even war requires the media to drum up misguided feelings of moral superiority to justify another counter-productive interference in conflicts that we have no business in or even understand.